Another amazing kind of plant is now trending on the internet and make netizens curious on its super beneficial effects to every one. Rumors have exploded on how this plant cure people easy and effectively. The paragis which is also known as goose grass, wild grass and dog's tail was used by African people long before and until this generation as an alternative medicine. This is a bionic plant used to cure both humans and animals. In Philippines, paragis is not recognized medicinal plant by DOH but some of the people use this as medication. The different parts of paragis can be used as a herbal medicine and this includes the leaves, stems and roots. The three parts of the plants can be boiled and turn into paragis tea which was believed to be effective to cure different illnesses. The paragis plant is known as anti-cancer because of its antioxidant properties. This prevent the cancer cells to grow in the body. It is also effective in combating ovarian cyst and myoma. By drinking the paragis tea every day in the morning or before going to bed in the evening, this will surely make the cyst fully disappear. 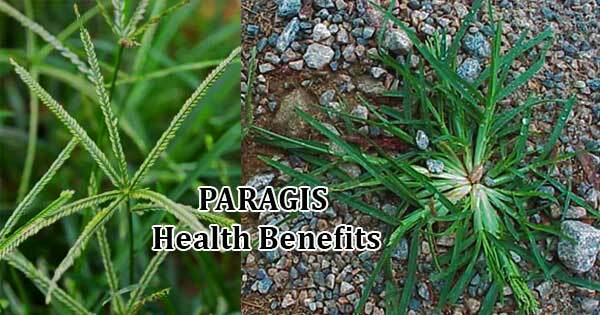 The paragis plants also contains natural diuretic which will help to increase the amount of water in our body. This will flush out the toxins and expels safety agents in the body through urine which is helpful in aiding kidney problems. Arthritis which is a common sickness to elders can be prevented through applying the paragis plant of the affected area. Just put the plant on fire mixed with scraped coconut until it become hot and bandage it afterwards where the pain is. Paragis plant also used in wound in order to stop bleeding. It is also a strong laxative that can remove worms and other parasites from the stomach. This website is really cool. Thank you for sharing plenty of useful content. I will bookmark your blog so, it is easy for me to visit again. paragis health benefits.. search that in google to get better results..